Constant Leung is Professor of Educational Linguistics at King’s College, London. Europe is going through a period of sustained and extensive social, political and economic transition, with language playing a pivotal role in this complex process. The papers in this volume address key issues including: nature and extent of multilingualism and multiculturalism; the role of English in the Europe Union; language, languages and democracy; and language and literacy development in emerging contexts. Volume 20 Europe is going through a period of sustained and extensive social, political and economic transition, with language playing a pivotal role in this complex process. The papers in this volume address key issues including: nature and extent of multilingualism and multiculturalism; the role of English in the Europe Union; language, languages and democracy; and language and literacy development in emerging contexts. I would like to address the question raised in the subtitle: can Europe speak with a single voice in many languages? In the course of this chapter I shall attempt to answer the question from a linguistic point of view. This doesn’t mean that I am not aware of the political side of the problem: the problem of a Europe that cannot speak with a single voice because of a lack of consensus. It is simply that I have more to say about multilingualism. In upholding the values of a multilingual Europe I shall return to some linguistic situations that are becoming increasingly important in contemporary Europe; and, in particular, language contact and language transfer, interlanguage and error analysis. I should like to do this in memory of the scholarship of Pitt Corder, to whom this chapter is dedicated. In my conclusions, I intend to suggest a possible new direction for applied linguistics to promote the preservation of language and culture diversity. I hope this will be a useful contribution to our conference which is devoted to the role of linguistic research in the reconfiguration of Europe. But now, without further ado, let me begin by introducing a notion that is central to most of the issues I have just mentioned: I speak of the devil of course! The focus of this chapter is on the status of immigrant minority languages (henceforward IM) at home and at school from four different European perspectives. In the first section I offer discourse perspectives on the semantics and some of the central notions in this field of study. In the second part I discuss the utilisation and effects of different demographic criteria for the definition and identification of (school) population groups in a multicultural society. Next I offer sociolinguistic perspectives on the distribution and vitality of IM languages across Europe. In this context the rationale and major outcomes of the Multilingual Cities Project, carried out in six major multicultural cities in different European Union (henceforward EU) nation-states, are presented. Finally I offer comparative perspectives on educational policies and practices in the domain of IM languages in the six EU countries under discussion. I conclude with an outlook on how multilingualism can be promoted for all children in an increasingly multicultural Europe. It is now generally accepted among linguists that there are benefits to bilingualism, both social and cognitive. Recent research indicates that it correlates with higher general educational achievement, but only if both languages are afforded equal (or at least respected) status. In addition, the ability to acknowledge and understand other ways of viewing the world is increasingly important in the current political climate. This paper maintains that strengthening minority linguistic rights will not only maintain linguistic diversity, but also promote bi- and multilingualism more effectively than traditional foreign language teaching. Minority languages cannot be safeguarded using functional/instrumental arguments alone. The benefits of bilingualism can also be conferred using ‘more economically useful’ languages, although tuition may not be effective without taking into account affective factors. Maintaining regional identity is often seen as increasingly important in the era of globalisation, with local languages a key element. The consequences of loss of societal bilingualism in a small speech community in Guernsey, Channel Islands, can be seen as a microcosm of diminishing linguistic diversity in larger communities. It may be no coincidence that anglicisation is further advanced in Guernsey than in most other European countries, given its neglect of its linguistic heritage. Robert Phillipson is a Professor Emeritus at Copenhagen Business School. His books on language learning, language policy, linguistic human rights, and multilingual education have been published in eleven countries. He was awarded the 2010 UNESCO Linguapax prize. He is best known for Linguistic imperialism (Oxford UP 1992, also published in India and China). Linguistic imperialism continued (Routledge 2009) assesses the continued dominance of English and the implications for other languages. English-only Europe? Challenging language policy (Routledge 2003) argues for EU language policy to take diversity more seriously and suggests ways of achieving this. For details of CV and publications, see http://www.cbs.dk/staff/phillipson. There are many challenges in figuring out how language policy is evolving in Europe, and what the implications are for speakers of different languages. Issues of language rights and language policy and planning are of concern to academics in several social science and humanities fields. There is increasing documentation of the impact of English on the EU system and on continental European languages, but there are significant paradoxes in EU language policy. Many factors contribute to paralysis in explicit policy formation. Applied linguists are addressing choice of norms for English, but some of the studies of English as a ‘lingua franca’ seem less than well founded theoretically and to be based on less than ideal empirical data. There is a need to connect microlevel studies with the realities of linguistic hegemony and hierarchy. There are massive forces behind the current marketing and expansion of English, but significant efforts in the EU are going into the maintenance of linguistic diversity. There are challenges in theory development in analysing English as the contemporary imperial language. The need for conceptual clarity in relation to ‘lingua franca’ is of immense importance. Suggestions are made for taking the analysis of Englishisation forward. 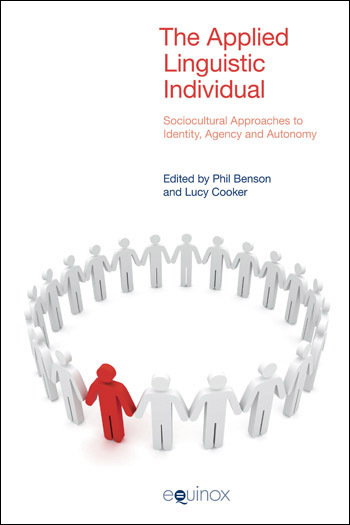 In this chapter I discuss ways of managing linguistic and cultural diversity in Europe. I argue that the adoption of a lingua franca as a useful communicative tool does not necessarily pose a threat to multilingualism in Europe, rather it may be the only realistic way of coping with a multitude of languages in contact. Paradoxically, the use of a lingua franca may become a means of ensuring and indeed promoting diversity. Having brought forward a number of arguments against making use of English as a lingua franca in Europe, I try to relativise these arguments by pointing to the distinction between ‘languages for communication’ and ‘languages for identification’, and by drawing on the findings of several relevant research projects. 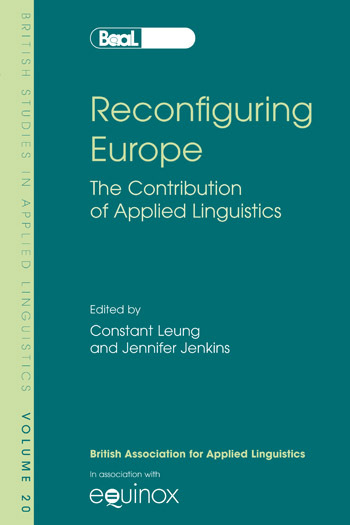 Finally, I make a few suggestions as to how applied linguistics can contribute to reconfiguring Europe. Following the rationale that corpora have an important part to play in fostering language awareness, this paper investigates the use of corpora in the teaching of German as a foreign language. Over the past decade, corpus-based research has had an increasing influence on language teaching pedagogy (cf. Tribble & Jones, 1989; Johns & King, 1991; Wichmann et al., 1997; Kennedy, 1998; McEnery & Wilson, 2001). While the majority of studies reporting on corpus-based teaching approaches refer to English, only a small number of studies have discussed such an approach for German (e.g. Dodd, 1997; Jones, 1997; Möllering, 2001). This paper describes an approach to teaching German designed for students who wish to acquire a reading knowledge of the German language, specifically for research purposes in the field of Ancient History where a large number of standard texts are published in German. The paper discusses the design and compilation of a corpus of German academic texts, which serves as a basis for linguistic analysis of semantic, morphological and syntactic patterns through procedures commonly employed in corpus analysis, such as compilation of word lists, frequency counts and concordances. While existing corpora of written German focus mainly on press and literary texts, a specialised corpus as examined here can serve as a database for research into the linguistic structures particular to academic texts in German, notably in the domain of Ancient History. In this contribution, the exploitation of language corpora is proposed in order to arrive at authentic teaching materials in the field of German for Academic Purposes. This chapter outlines ongoing research on a widening participation programme with particular reference to academic language development. It is organised into four parts: (1) The context of the programme; (2) the theoretical framing in terms of academic literacies, and the concepts of ‘activity frames’; ‘genres’; and ‘modes’; (3) Research Findings and (4) Focus. In the context of integrating research and practice in applied language work across Europe that is the focus of this issue of the BAAL Working Papers, the project described here will be of special interest to those working in academic literacies. A key theme is that, although the focus of the programme described here is on ‘EAL’ students, in practice much of what we have to say applies to students in general and will be relevant to colleagues in university departments working in a variety of language contexts in different countries. Students making the transition from school or work into university contexts encounter new discourse communities, new requirements on their academic language resource and new ways of being a student. 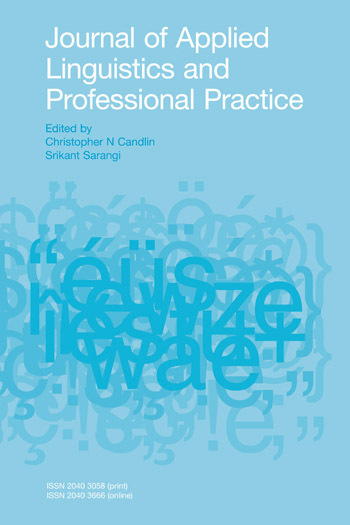 The academic literacies perspective that we elaborate upon below offers a broader theoretical and practical approach to these transitions than the dominant ‘study skills’ model and when we have presented on this at European wide conferences (cf. EEAW; EAIE) there have been many points of convergence (see Jones et al., 2000). The Academic Language Development (ALD) programme also offers some useful insights into and perhaps a critical perspective on the Content and Language Integrated Learning (CLIL) initiative, supported by the European Commission, which likewise offers support for additional language learning across Europe (http://www.clilcompendium.com/). The five dimensions listed in the CLIL Compendium, relating to culture, environment, language, content and learning, could be taken as a basis for also analysing the ALD programme described here. For instance, the concepts of ‘academic literacies’ and of ‘genre and mode switching’ described below could be usefully linked to each of these features. However, the experience of ALD programme to date suggests that it is less directive than the CLIL initiative, the pedagogy is more interactive and the research more ethnographic in style. Such comparisons might provide a fruitful basis for further research that locates the ALD programme in the larger context of European initiatives at the same time as subjecting those initiatives to the comparative rigour of the kinds of case studies we describe here. This paper deals with the linguistic expression of speaker/writer opinion – a phenomenon variously known as evaluation, stance and appraisal. It identifies certain semantic dimensions – evaluative parameters – along which evaluations can proceed and analyses some of their linguistic manifestations in a 500,000-word corpus of British (broadsheet and tabloid) newspaper discourse on the European Constitution. Examples of such evaluative parameters are the parameter of EMOTIVITY (the expression of approval or disapproval), COMPREHENSIBILITY (concerning the extent to which aspects of the world are evaluated as more or less comprehensible on the part of the writer), EVIDENTIALITY (evaluations concerning the source of a proposition), STYLE (evaluative comments on the communication itself) and IMPORTANCE (concerning the significance of what is evaluated). The analysis of evaluative parameters is supplemented with a traditional collocational study of keywords in the corpus. The results show some of the key sites and characteristics of evaluation concerning the European Constitution in the corpus, in particular the differences between the broadsheets and the tabloids. Dr Braber teaches in the School of Arts and Humanities within the subject area of Linguistics. Her teaching responsibilities are mainly in the area of sociolinguistics, child language acquisition and psycholinguistics. She is Assistant Programme Leader on the Joint Honours Humanities Degree Programme and Programme Leader for the Linguistics MA (by research). Dr Braber also supervises PhD students on a variety of topics. Even 13 years after unification it seems as if the two Germanies have not yet been truly united. Since the end of the German division language has been used to illustrate the social, political and economic changes that have occurred at and since this time. This started initially in 1989 with the slogans used in the demonstrations in many cities of the German Democratic Republic (GDR) and can be seen as the first true liberated use of the national variety of German spoken in the GDR. After the initial euphoria of the Wende started to wear off, the divisions between east and west Germans started to show. The asymmetry of German unification is illustrated by the influx of new vocabulary (both from west Germany and neologisms) which affected the former GDR citizens to a far greater extent than their west German neighbours. This alienated the two populations from one another, creating ever greater divides. The continuing division can be seen to exist (and is maintained by many east and west Germans) to this day with the maintenance of GDR vocabulary, ideas and stereotypes furthering the psychological wall which still separates the Germans. West Germans have not been affected by these changes to the same extent. By examining these different attitudes and relationships a clearer light can be shed upon the difficulties confronting the Germans and this may enable a smoother future for Germany.